We welcome grant applications from any 501(c)3 organization that is doing work to make our community a better place. Our staff will be very glad to work with you. For more information, please contact Kim Abney at (765) 454-7298 or by email at kim@cfhoward.org. The Community Foundation of Howard County no longer requires organizations that have filled out a grant application in the past five years to attend a community grants meeting. First-time applicants must contact the Foundation to discuss grant proposals prior to submission. The mission of the Community Foundation of Howard County is to connect people, resources and causes to produce a positive and sustainable change in the communities we serve. 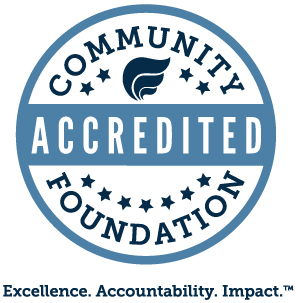 The Community Foundation is a not-for-profit charitable corporation. It gives donors of varied interests a vehicle for charitable giving to the community and provides responsible stewardship for donated gifts. It encourages philanthropy by attracting and distributing permanent and non-permanent gifts that together can have substantial and constructive community impact. The Foundation is also available as a resource to assess and respond to changing community needs. Community Beautification -- to include the support of projects that advocate, stimulate and support community vitality, beautification/environmental preservation and adornment. These grant guidelines and policies apply only to the unrestricted philanthropic funds of the Community Foundation of Howard County, Inc. and not to those funds for which the beneficiary or beneficiaries have been designated by the donor or for which the donor has restricted the use of a particular fund to a specific charitable purpose or geographic area. Those designated and restricted funds will be administered separately in relation to their respective donor agreements. Does the purpose of the project fit with the purpose of the organization? Does the organization have the ability to implement this project? Is there an established need for the program or project in the community for which the grant is requested? How well has the purpose of the project been defined and who will be served by the project? Will the Foundation be able to tell whether its grant was used for the agreed-upon purpose? When completed, will the grantee know whether its project was effective? What kind of impact (measurable outcome) did the project have on the organization / clients / community? Is it a visible project? Is it appropriate for the Community Foundation of Howard County to make a grant for the requested purpose, or are there other more compatible sources for potential funding? Does the Community Foundation of Howard County have adequate resources to effectively respond to this need? b) A time sensitive opportunity to leverage Foundation funds which will expire prior to the conclusion of a published grant cycle. All out-of-cycle grants remain subject to all application submission requirements, including submission of a letter of intent, which should specify the applicant’s desire for out-of-cycle grant consideration and justification for such consideration. Applicants may be asked to document that the circumstances which have led to the submission of an out-of-cycle request materialized after the conclusion of the most recently concluded grant cycle, and do not exist due to the delay of applicant in submitting a timely application for consideration during the previous grant cycle.